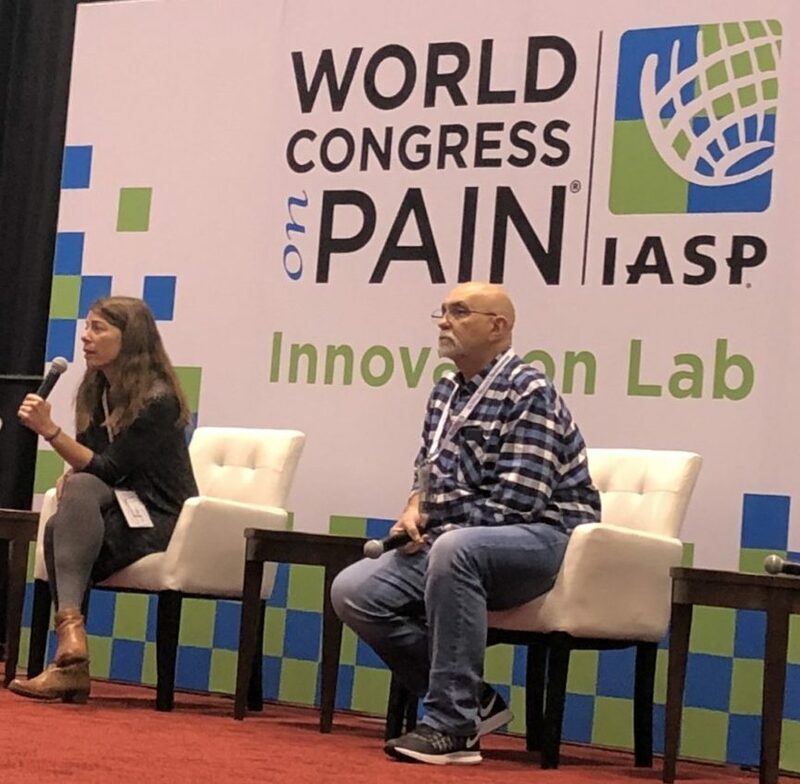 This has been a year of presenting or participating in meaningful ways in conferences, and I’m so grateful for the opportunities to share what it is like to live with pain, and to recover, out into the professional conference world. The most recent was the Reforming MSK Practice conference from Jack Chew and ReformPhysio, where I was a keynote speaker and sat on two panels. 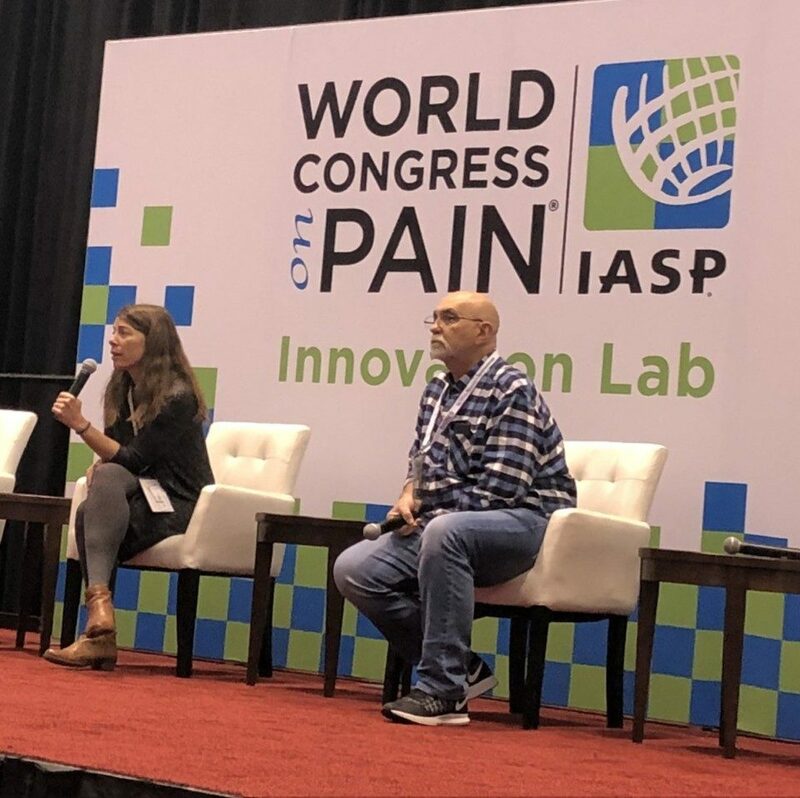 That followed closely upon the heels of presenting at the IASP World Congress on Pain as a part of the new Global Patient Alliance. There are big things afoot that I am incredibly excited about, and grateful to be in the mix. I am honored to represent the patient perspective, to give voice to our lived experiences, to lend insights from our stories, to have meaningful discussions with clinicians who are trying to find a better way forward for their professions and for the care of people living with pain. I hope it’s done some good. That maybe the chasm between people living with pain and the people trying to help them was narrowed just a bit. That the notion of ‘us’ vs ‘them’ has been successfully challenged and that the clinicians in attendance can see that we are all in this together. I hope they also see that together doesn’t start when a person is in the clinic, desperate to make sense of their pain and to find a way forward. That together needs to start long before that. We have insightful stuff to share! One attendee at #TheBigRs Reforming MSK Practice conference came up to me after my talk and said ‘that was actually pretty good’. Like it was a surprise that people with lived experience of pain and of seeking care could be articulate and engaging and have useful insights to share. I wasn’t offended, more surprised. And hopeful it was a barrier overcome. And maybe he said that to everyone! I did go in a bit nervous, so I’m sure that colored my thoughts on the interaction. It’s been my experience, though, that really rich, meaningful, honest, insightful, and productive conversations take place at professional conferences when patient voices are included. The discussions that took place during my three-hour workshop at IASP were profound. The conversations I had during breaks at ReformPhysio conference and at the party we’re equally deep, thought-provoking, inquisitive, exploratory, curious, and progressive. And I can say the same for the San Diego Pain Summit, the Montana Pain Conference, and Paincloud in Norway earlier this year. It has been awesome. We need more of this. One thing I want to make clear: when I talk about listening to patients, hearing our stories, validating our experiences, and having meaningful conversations with us, I don’t just mean during the clinical encounter when our entire being has been affected by pain. When our capacity is diminished, our attention stolen, our language robbed, our resources wholly engaged in just getting by with this pain that doesn’t make sense and has turned our lives upside down. We wouldn’t be seeking your care if it all made sense, if we had the capacity to deal with it on our own, if we knew the way forward, if we could make a cohesive story of it all. We need you to help us make sense of things. To help us connect the dots and come to our own conclusions and understanding. Listening to people with lived experience of pain needs to go beyond the clinical encounter, too. Don’t get me wrong, it is absolutely crucial that listening takes place in the clinical encounter. It is just a different type of listening. It is listening to understand that individual and their particular contexts. Who are they now? Who were they? Who do they want to be? How is pain affecting their lives? Their self? Their families? Their future? What do they make of their pain? What do they think the path forward could look like? It is incredibly important to listen to a person’s story. Their pain is in their story – in their very being, their very lives – not in their hip, not in their back or neck or knee. It is never just a tissue problem. Tissues don’t feel pain, people do. With all their messy internal and external contexts, all their messy humanity. The only way to help that person make sense of things is figure out what doesn’t make sense. And making sense is the way forward. When things make sense we can take action. We can be more involved in our own care. So listening within the clinical encounter is incredibly important. When I was in the depths of my pain. In the pain cave, the abyss, as Adrian referred to it, I could not articulate my experience. I did not have insights into my experience because I was in the midst of the chaos of pain. Nothing made sense. And I was largely silent. I just wanted to be fixed. When everything is destroyed or being destroyed, you do not have the language or capacity to share that. It is only in through making it through that time, only through finally making sense of things and finding my path forward, that I can reflect back on those dark years and find the language, though always woefully inadequate, to try and describe what it was like. That’s why we need patient voices at professional conferences, too. Why we need patient stories throughout the educational process of those who are going to be working with people in pain. That is why I am so grateful Jack invited Adrian, Pete, Tina and myself to a part of TheBigRs. It is understanding our stories, the Petes, Adrians, Tinas, Jos of the world, those who’ve been in the abyss and somehow made it out, that can help us all to better understand pain, to better understand recovery and success and resilience. And there are millions of us, you don’t just have to listen to us! Our stories, our voices, are found in the qualitative literature, the phenomenological literature, the medical humanities. Our stories are found in literary fiction for that matter. In poetry and song lyrics. In art. In theater. I had the great honor of sharing my story (in only 10 minutes!) on the Innovation Lab stage at the IASP World Congress in Boston last month, just a couple weeks before #TheBigRs. I followed researchers Fran Toye, Kate Seers, and Karen Barker on stage. I shared my story alongside the key findings from their mega-ethnography on the lived experience of pain. Their findings represent so many of my truths, our truths. My story of pain is just a story of pain, not mine alone. The Innovation Lab experience reinforced for me how valuable it is to have researchers, clinicians, and patients share the same stage. It is not just meaningful to us patients, it is meaningful to the researchers and clinicians, too. It brings their work to light in entirely new, meaningful, and impactful ways. This stuff works! It’s awesome! We need more of it. Qualitative research is matters. Our stories matter. Sharing my story alongside Toye et al.’s findings was a powerful representation of why qualitative work matters. If you want to understand pain, it makes sense to learn from the people who live with it. Our stories matter. Our stories are evidence. Our stories are data. Our stories, our insights, our perspectives can advance learning and understanding and research and practice. And through reading systematic research of our stories, you can better understand those patients who come to you in the chaos, unable to give voice to their experience. By understanding our stories, you can help your patients give voice to theirs. My story is broken, can you help me fix it? We are not broken people. We are people with broken stories. We need help making sense of what is happening to us. Only when things make sense can we see our role in helping ourselves to get better. Only then can we see the path forward. Only then can we see the light amidst the darkness. And we can only make sense within a trusting environment. One where felt heard, understood, validated, and believed. This is our lives we are talking about, after all. Our lives. Not pain in the abstract. Not diagnoses or labels. Not muscles or joints. Not even nerves and brains. Our lives. Lives that we live on our own, outside of your clinic walls. We are people. Real people. People living through a distressing experience, a human predicament, we can’t navigate on our own. In order to understand our predicament, our pain, and how best to navigate it, we first need to be understood as people. It is the only way to even begin to understand our pain. And understanding our pain is the only way to even begin to plot a meaningful path forward. We are not problems to be fixed (or punted). We are humans going through a difficult predicament who need understanding and compassion, as well as good information and guidance. We are seeking your expertise for a reason! John Launer writes about moving away from problem solving and towards ‘problem dissolution’ by ‘inviting others to consider their problems from new perspectives’. Instead of fixers and advisors, HCPs become witnesses, questioners, proposers, and collaborators. It’s about jointly constructing a narrative that makes sense and offers new possibilities. What might that look like? Oh, all sorts of things! That’s why there is much to learn from the people who have lived through what it is you are trying to understand and treat. And hearing from lots of them, not just me. I have more on my mind that I’ll share in what I hope to be a series of posts. This one is more what I hoped to get across at the Reforming MSK Practice conference. A message I hope sticks. That our stories matter. That they are data. That including us in the conversation can lead to better understanding of the pain experience and recovery from suffering, better questions being asked in research, better answers found through joint exploration, and better paths forward in treatment that lead better outcomes. Better outcomes for all of us. Those of us with pain and those studying pain and those treating pain and those caring for those in pain. The barriers need to come down. Let’s have some meaningful discussions and see where they go, from all perspectives. I love Joost van Wichen‘s chaotic absurd approach to education. A proposed thought experiment: what would a curriculum look like if understanding the lived experience of pain was the goal? If understanding how people who’ve lived with ongoing pain recovered and now live well was the goal? Until next time, here are a couple resources on why this matters at all, and what to do about it. For including qualitative research in pain education, Fran Toye and others created a FREE eBook, available at IASP. The mega-ethnography that is a part of that book is also a great foray into qualitative research on the lived experience of pain (and it’s open access). Some articles I love: “My Story is Broken, Can You Help Me Fix It: Medical Ethics and the Joint Construction of Narrative” by Howard Brody, MD and “The Nature of Suffering and the Goals of Medicine” by Eric Cassel, MD. Both worthy, insightful reads (but are not open access. Contact me if you have trouble finding). Want to know how to actually put some of this listening and patient story business into practice? John Launer’s book Narrative-Based Practice in Health and Social Care: Conversations Inviting Change is accessible, practical, and short! Another book that’s been recommended to me and is next in my queue: Storytelling in Medicine: How narrative can improve practice. Also a slim, accessible volume. And The Narrative Playbook: The Strategic Use of Story to Improve Care, Healing, and Health is FREE to download. I learned of this one from Pam Ressler during my workshop at the IASP World Congress. Here’s a pretty picture as a reward. This post was first shared on MyCuppaJo.com, cofounder Joletta Belton’s blog. We would love to hear your thoughts, please share them below! Interested in having us come present? Contact us! 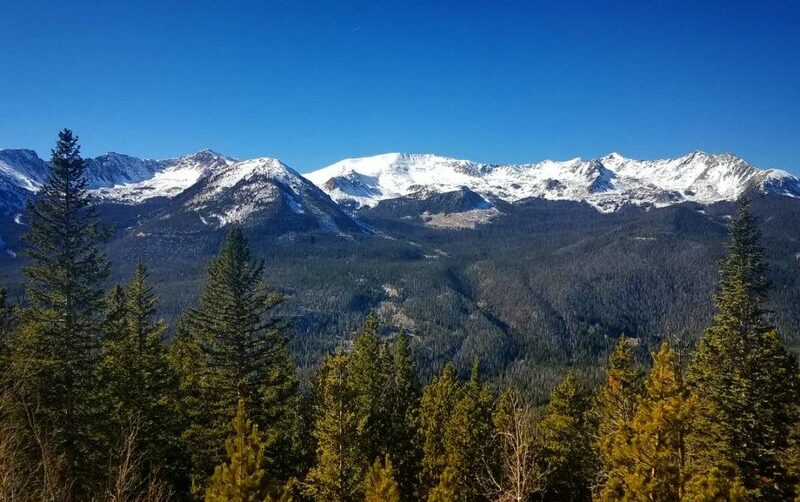 This post was posted in EPIColorado, My Blog, Uncategorized and tagged chronic pain, continuing medical education, IASP, lived experience, medical humanities, narrative medicine, pain, pain conference, pain education, pain perspectives, pain treatment, paincloud, patient advocacy, patient empowerment, patient engagement, patient voices, san diego pain summit, stories matter, thebigRs. Bookmark the permalink.